Tommy Angelo, in Elements of Poker, p. 100. If you always fold face down without ever showing even one card to anyone, the message that is sent, and received, whether you intend it or not, and whether you realize it or not, is this: “I don’t care what you think about how I play. I don’t even care what I think about how I play. Oh, and by the way, I am impervious to everything.” Fussless folding fortifies. Early on in articles and blogs, I wrote a lot about basic concepts. 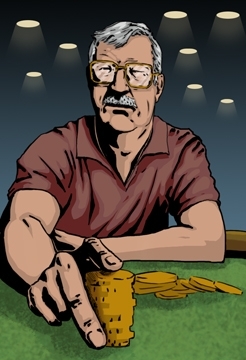 It isn’t rocket science but the basics are something we poker players drift away from at time. Part of the reason I write them is to beat myself over the head and ingrain the information further.